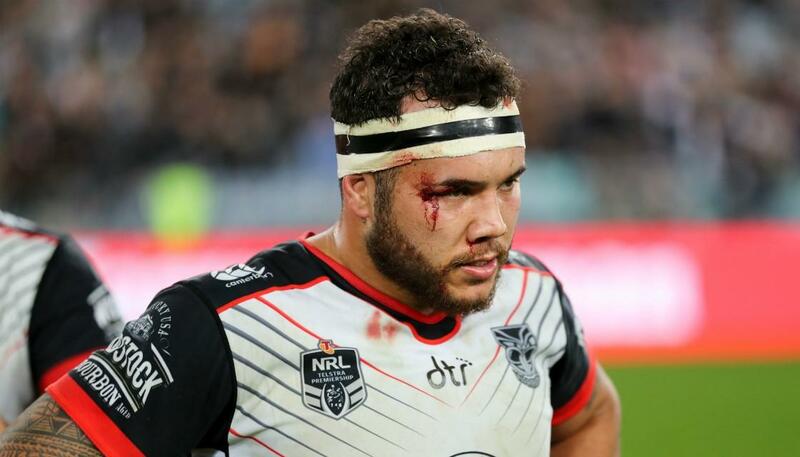 After last weeks great Mount Smart send-off for Simon Mannering, the Warriors ended their seven-year drought from playoff football and found themselves in Sydney for round one of the playoffs facing the Penrith Panthers. 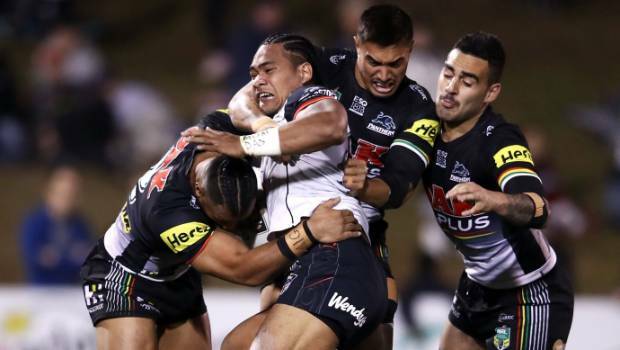 Predictions on both sides of the Tasman had the Warriors as slight favourites to take this match, but the Panthers took advantage of a swing of momentum and never let go as they ran away with a 25-12 victory. Well, that wasn't the result I was expecting or the way I saw the Warriors exiting the playoffs, but they are now out of the playoff race. The Warriors started well, and it looked like they were on track to get the result until Roger Tuivasa-Sheck got injured and Solomona Kata got penalised for an incorrect play the ball. From that point on it seemed that everything fell apart for the Warriors and the Panthers produced a great performance, playing almost completely error-free football and starved the Warriors of possession and territory for the majority of the second half. In playoff football there is no tomorrow, you need to deliver on the night or become an afterthought and unfortunately, the combination of RTS's injury, experienced players making poor decisions and errors and the Panthers not giving away penalties or making mistakes made this too steep a mountain to climb. Pitchforks have been out for Shaun Johnson, but I think heaping all the blame onto one player is unfair, yes he had a poor performance once the tide changed in this match, but the team lost this game, and several players had shocking displays. Im hoping that the players take all they can from this match and learn from it and use it in preparation for 2019 which leads me to my positives from the game. To be honest, I over have two positives from the match. The Warriors started the match well, despite the Panthers getting the first points thanks to a Paasi penalty the Warriors fired back with two tries in quick succession showing that dangerous threat they can be when the team is firing on all cylinders. Lastly, I want to praise the Warriors defence, in the second half, the Panthers had the ball for what felt like the majority of the time including one stage where they had five sets in a row. Despite all of these sets, the Warriors conceded only one try in that second half, the Warriors of old would have spent most of that second half under the goalposts counting down the seconds until they could get off the field as the opposition repeatedly crossed the try line. If the Warriors can bring that type of defensive effort to every game next year they will be well on their way to giving a better playoff performance. That is all I have for my positives so I will get into my negatives. The errors, man oh man the errors were painful to watch. At times it felt like the Warriors couldn't do anything right. Incorrect play the balls, silly offloads and penalties plus kicking the ball out on full from kickoff were schoolboy errors and should not be happening in the NRL let alone in the finals. Maybe it was due to finals jitters or fatigue from the excessive defence but these errors are coach killers, and they need to be eradicated before the beginning of the 2019 season. The forwards were gunshy; they played well until Kearney took Paasi and Gavet off. Once these two were off, you could see the difference in the side, and by the time they returned to the field, it was too late. As the cliche goes if the forwards don't set the platform the dangerous backline cannot be unleashed. Shaun struggles behind a flat pack, and the Panthers (and the entire NRL) know this, and they bullied the Warriors pack to keep Johnson constantly on the backfoot. On a positive note, Leeson Ah Mau had an excellent game for the Dragons in their annihilation of the Broncos and will add some much-needed firepower to the Warriors forwards. Which actually leads me to my last negative, Ah Mau will be of no use if Kearney doesn't sort out his interchange rotation. Perhaps with Simon's exit, it may be easier for Kearney to juggle a 17 that isn't stacked with second rowers. Hopefully, this an addressed in the offseason and a better rotation is set for 2019. My Warrior of the game goes to Jazz Tevaga. I have been critical at times this season of Jazz but what a display of heart he showed in this match. He packs a punch despite his small stature and when the forwards around him were being dominated he continued to push his way through the defensive line, while also being one of the top tacklers in the match. He still hasn't signed a new deal but im hopeful that he sticks around as he is a hard worker and I'm hopeful that his heart and desire is infectious and the rest of the squad inherit it. My Warrior who needed to improve could have gone to several players, but I have gone with Solomona Kata. First things first thank you for reading my reviews Solomona as after drilling you to pass the ball for the last two weeks you started this match passing the ball to Ken Maumalo repeatably, unfortunately, you still ran him out of space before giving him the ball. Everything Kata did in this match went wrong, I'm not sure if the occasion got to him but his first two runs resulted in a penalty for the incorrect play the ball and a knock on. I have been critical of Kata all year, and I still would rather have Hiku and Beale as the centres for 2019. I would like to say that Kata can learn from this year and return in 2019 a better player but I just don't believe it. This team's mantra all year was about being a unit, playing for each other and working together and Kata has continuously shown that he is all about the individual, he is the one player I would remove from the current 17. Hopefully, something changes in the offseason, but I just don't see it happening with him. So that's it, no more games for 2018. It's a horrible way to bow out of the season, but I don't want it to overshadow the season that the Warriors have had. They were the laughing stock of the NRL before the season got underway and they ended their season this weekend with one of the best away records in the NRL. I don't want to go over the season too much here as I will be doing that in more detail in my season review in a week or two. In regards to how the playoffs will go now, I'm not too sure, I still think the Storm and Roosters have the biggest shot at taking out the title, but the Dragons looked good this week also so it could be anyone's game. Lastly, before I go, I want to thank all of you that have been reading my thoughts this season. 2018 has been a fantastic year so far for my little writing page, and all the people I have got to meet through my blog have made this a season to remember, and I hope it continues. So that was my take on an unfortunate Finals week, and as usual, I will leave you with some questions. Who was your player to Improve? Which teams will be in the Grand Final? What are your overall feelings on the 2018 season? What would you like to read on here during the offseason?